The Federal Government on Thursday expressed concern on the high usage of psychoactive substances by adolescents in the country. Ngige, who was represented by Mrs Ifeoma Anyanwutaku, Director, Occupational Safety and Health, stressed that research on adolescents both in- and out-of-school in Nigeria ignorantly depended on hard drug for daily activities. 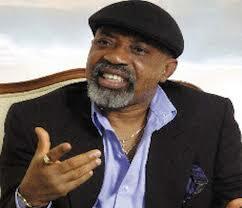 He mentioned such drugs to include tobacco, marijuana, cocaine, codeine, heroine, alcohol and rophynol. He also mentioned that unemployment and frustration were other things that could provoke drug usage and addiction. 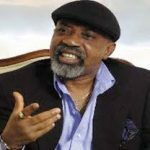 Ngige, therefore, said that government was sparring no effort in tackling unemployment in Nigeria to help reduce the menace of drug abuse and addiction. He added that the government was making efforts to curb the menace of psychoactive substances in the country. The Director, Drug Demand Reduction, ECOWAS, Dr Sintiki Ugbe, said there was high magnitude of trafficking in narcotic drugs and psychoactive substances. Ugbe added that cocaine trafficking remained a significant concern with evolving modes of transportation through air and seaports, while cannabis was widely cultivated and consumed in the region. Newsmen report that Nigeria has adopted and endorsed the ECOWAS political declaration and regional action plan to combat illicit drug trafficking, organised crime and drug abuse.